The pin of the “75” sit off-centered, which hangs the stirrup at a slight angle. That angle is an exact percentage causing the rider’s toes to lift and heels to drop, not too much, but not too little either – an exact percentage. 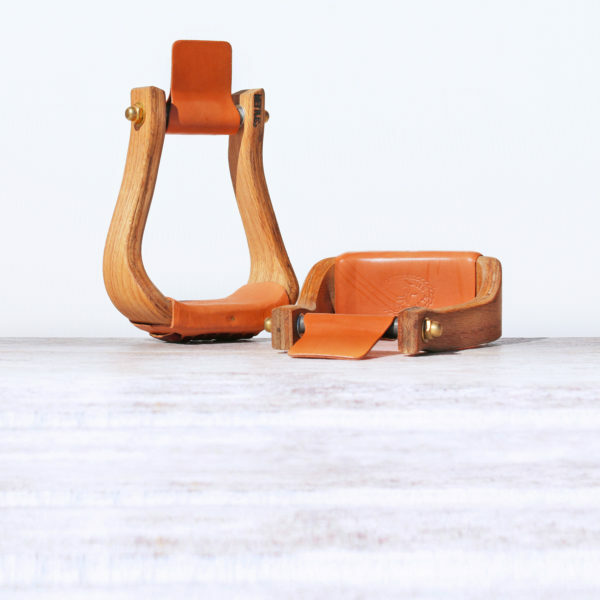 The pin of the “75” sit off-centered, which hangs the stirrup at a slight angle. That angle is an exact percentage causing the rider’s toes to lift and heels to drop, not too much, but not too little either – an exact percentage. Like a domino effect, the tilt sits the rider deeper in the saddle, which in turn enhances better balance. 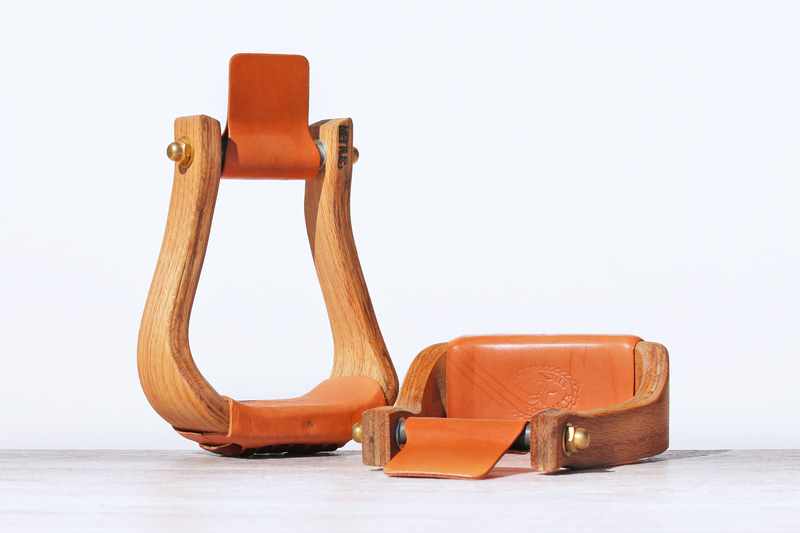 The stirrup’s “S” shape sides re-distribute weight helping to keep those heels down. The name? This offset earned its name by helping the competitor mark a 75 his first time in the arena!